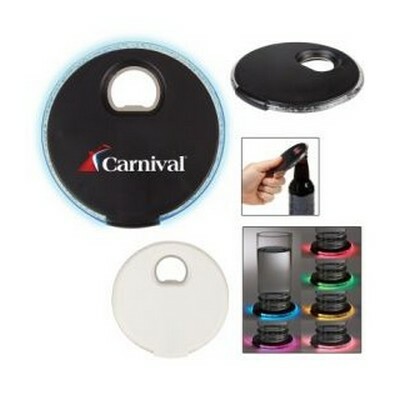 Features: Coaster Changes Colors When In UseNon-Slip Bottom Is Easy On All Surfaces. Metal Bottle Opener. Button Cell Batteries Included. Price includes : 1 COLOUR 1 POSITION PRINT. Setup is included.